Home / Announcements / Tester with a Yamaha C1 Music Computer Needed! Tester with a Yamaha C1 Music Computer Needed! James at Lo-tech has designed a Yamaha C1 HDD interface that will allow a CompactFlash card to be used as a hard drive in a Yahama C1 Music Computer. The Yamaha C1 Music Computer uses an MFM hard drive, over time these commonly quit functioning properly which, of course, renders the machine very difficult to use to say the least. Here is the development thread started by James on the Vintage Computer Federation forums. 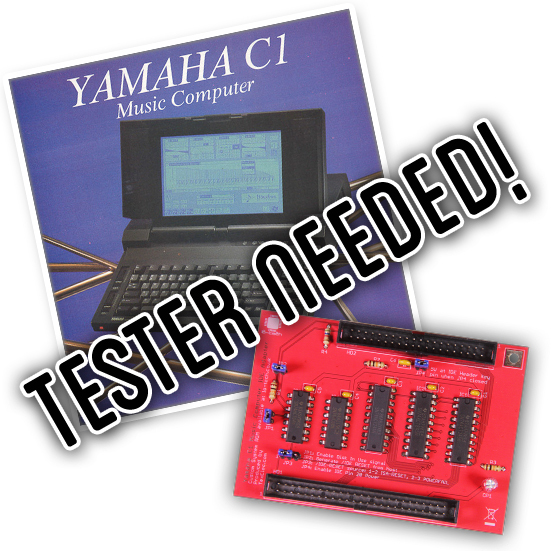 Please contact us if you have a Yamaha C1 Music Computer and would be willing to do some testing.